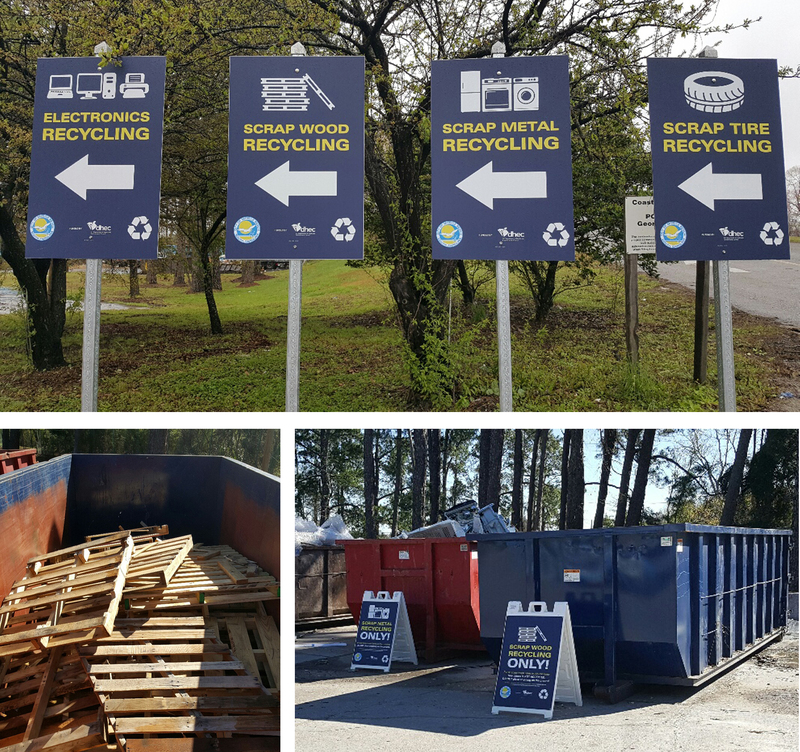 Myrtle Beach has expanded its bulk recycling options at the Solid Waste Division on Mr. Joe White Avenue Extension. In addition to electronic waste (computers, printers, monitors and TVs) and scrap metal, the city now accepts clean scrap wood and used tires at the Transfer Station. Of course, the city still offers curbside pickup of recycling for our residential customers, but the drop-off containers make self-service much easier. Recycling not only helps preserve natural resources and reclaim valuable materials, but it also lowers the cost of disposal. The city saves the tipping fee for every ton on waste that we keep out of the landfill. Questions? Call the Solid Waste Division at 843-918-2160.